After a non-publicly-exposed hiatus, we're finally back! We'll open up witn a guest comic week, so I can get abck on track without being overly rushed. 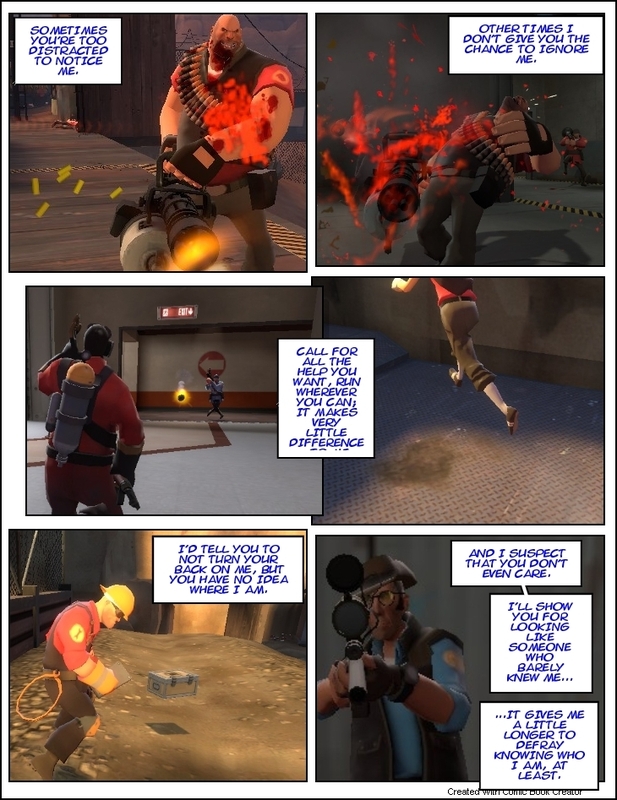 Now, thanks to Lich_Barrister for this strip! It has no punchline, but rather a suspenseful and dramatic atmosphere accentuated by the Sniper's narration. Now you guys should go and check Lich's Lego Theater comic. I've always been fond of this kind of photographic comics, and it's Lego characters just bring nostalgia to me from when I was a little kid. Siempre me ha gustado mucho más el francotirador que cualquier otra arma hahaha. Oye entonces el shout!box sigue muerto? It's an awesome game :P If you're wondering how it's done, take a look at the footer.